Koios Beverage CEO Chris Miller provides an outline of the company’s strategy and its proprietary products. 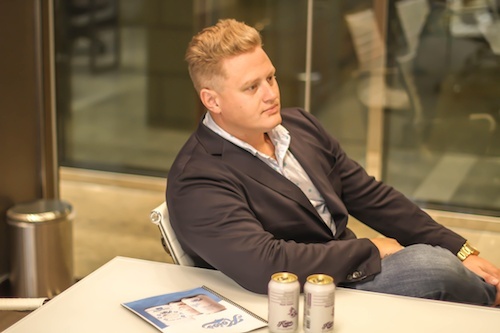 Koios Beverage (CSE:KBEV,OTCMKTS:SNOVF) CEO Chris Miller believes that there is vast opportunity in the nootropics market. In the interview below, he defines nootropics, outlines their value and discusses how Koios uses them as part of its supplements and beverage formulas as a healthy alternative to caffeine. Miller also addresses Koios’ clinical trial, which is being conducted to study the efficacy of the company’s products, the recent addition of a powder-based supplement to its product line and the rebranding of its beverages. Below is a transcript of our interview with Koios Beverage CEO Chris Miller. It has been edited for clarity and brevity. Investing News Network: Please give our investor audience an overview of Koios and its proprietary nootropic products. Koios Beverage CEO Chris Miller: I started Koios five years ago with the mission of using our proprietary products to help people get healthier. It all began when I started looking for a natural alternative to Adderall for enhancing brain function and thus treating my ADHD. Once I found a formula that I liked, I took it to the top labs, doctors and biochemists in the country and worked with them to develop a nootropics-based supplement that was widely distributed by Max Muscle and Europa Sports. We’d essentially pioneered a new technology that didn’t overstimulate the brain and contained low levels of caffeine. Soon after we launched distribution, we realized there was a huge demand in the market for nootropics. If you ask people whether they would take a supplement to enhance their brain function at work, increase their productivity and thus make more money, there is a high likelihood that they will say yes. To help meet this demand, we followed the supplement with our beverage product line meant for individuals who are averse to taking a supplement. To date, Koios is the only company that offers a functional beverage containing MCT oil and Lion’s Mane mushrooms that also tastes good. Our intellectual property (IP) rests in our proprietary blend, which is designed to enhance focus by increasing blood flow to the brain. Higher oxygen levels in the brain create higher levels of cognition, functionality and mood. Our products can offer an alternative to coffee, which has been classified as a carcinogen in California. They also may be able to increase long-term brain functionality, which can positively impact those suffering from diseases like Alzheimer’s, the second leading cause of death in the US after cancer. INN: What are nootropics and how are they beneficial for consumers? CM: A nootropic is any organic or inorganic compound that enhances brain function. Nootropics can improve cognitive functions, including executive functions, memory, creativity and motivation in healthy and unhealthy individuals. INN: Koios recently released a new formula to the market. How is this different from the company’s other products? CM: Koios recently added a powder-based formula to its product line. The powder formula contains MCT oil, which is a current trend in the Keto diet market, and Lion’s Mane mushrooms. Mushrooms contain a lot of oxygen and consuming them releases that oxygen into the bloodstream, which can then positively enhance adrenal functions. The addition of the MCT oil and mushrooms to our powder formula makes it the most densely packed nootropic on the market. We’ve filed a patent for the formula and are working on improving the functionality of the product. In regards to our drink, we’ve launched a new iteration of the product. We’ve rebranded it to look more organic, which is in alignment with how we view our company. We’ve also updated our flavor profiles; we’ve spent years ensuring that we have the IP and a formula for a product that enhances functionality, but also tastes great for the consumer. The market for these products is massive. Within 10 years, the nootropic industry will grow from $2 billion to approximately $12 billion, continually asking the question of how we can make our brains more effective. Nootropics are going to be as big as the multivitamin market or whatever else is mainstream when it comes to making our bodies feel better. INN: Please tell us about your plans for incorporating CBD and other functional ingredients into you products. CM: We’ve recently announced the creation of our subsidiary, Cannavated Beverage, which will be the first company to produce cannabis-infused beverages. As you know, widespread legalization is coming to Canada in October and we look forward to being first in that market. We’ll be targeting the legal medical and recreational markets with our cannavated drinks, which will have all of the health benefits of our nootropic drink formula. When considering the aging population and the demand for medical cannabis among seniors, the market for cannabis-infused beverages is vast. It’s a healthier alternative to smoking and this is reflected in the direction the cannabis market is taking. INN: Please tell us about Koios’ distribution network. CM: We were initially working with Europa Sports, the biggest nutrition distributor in the US with approximately 80,000 brick-and-mortar locations. We’ve also made distribution deals with KeHE, one of the biggest organic distributors in the US. As a result, we were able to hit unprecedented revenue targets for the amount of operating capital we had back in 2016. Moving forward, we’ll hopefully be entering the Canadian market within the next year and we’ll be solidifying additional broker-dealer relationships. INN: Please tell us about the clinical trials that Koios is conducting in partnership with NeuraPerformance/Neuroptimize Brain Center. CM: In order to validate the science behind our product, our clinical trial uses brain scans to measure brain functionality. We’ve scanned approximately 100 individuals before and after they’ve used our products to measure for increased brain activity in areas responsible for concentration and memory. We are expecting results for the clinical trial to be released in the next 30 to 60 days.